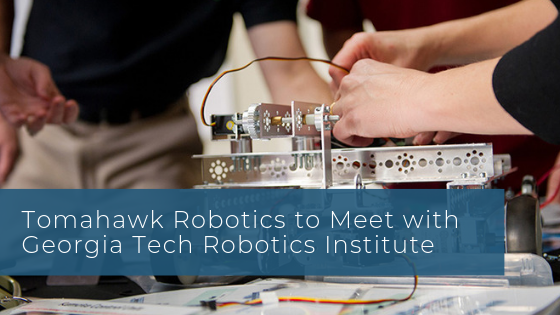 The Tomahawk Robotics team will be headed north on August 29th to meet with the Georgia Tech Institute of Robotics and Intelligent Machines. We're always looking for talent so reach out and drop a note to connect in person. Founded and based in Melbourne Florida, Tomahawk Robotics is a company of experts in control system development and manufacturing for robotics systems, with the goal of accelerating the mass adoption of robots at scale by leveraging ROS and the portability and accessibility of mobile devices, to create a streamlined robotic internet of things.